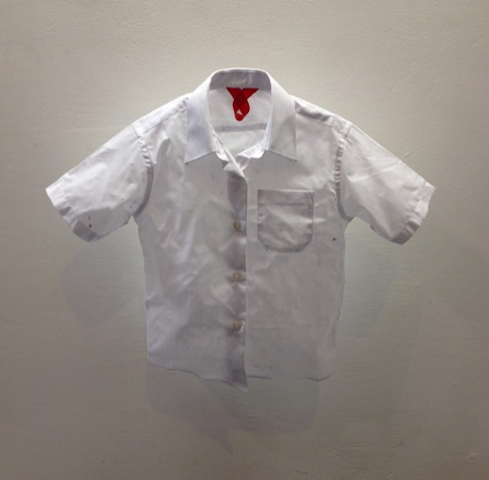 This 3D and wall based work explores the connections between the form and aesthetics of the collar and societal status. Through clothing we can differentiate ourselves from each other and align ourselves with a certain group, role or status. Using the metaphor of the collar, an outmoded, arguably unnecessary item of dress that can attach or detach from a garment, Jo questions the need for and role of status symbols in contemporary life.